At the end of the summer blackberries grow in abundance along the entire length of the Bristol to Bath Cycle path. So hungry unemployed cyclists can obtain a free (almost) meal... As you can see, after a warm wet summer the hedgerows alongside the bicycle track are simply dripping with fruit! 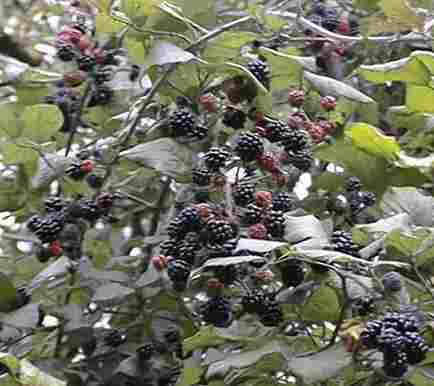 Don't forget to carry a puncture repair kit on your bicycle when picking blackberries. The brambles have very sharp little thorns!